You guys know that when I find a Christian song or album that I like, I can't wait to share it with you. 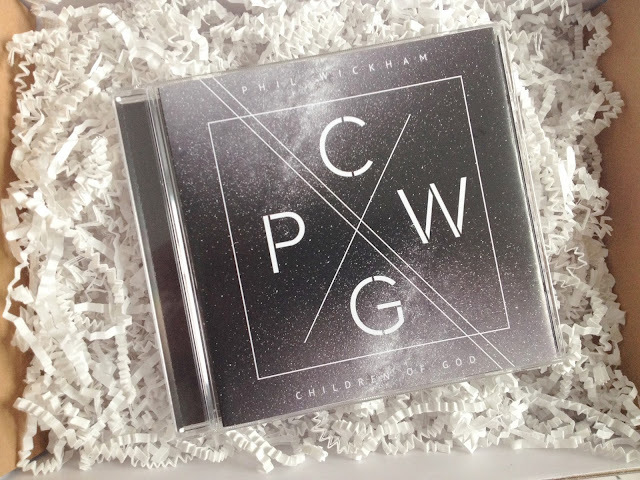 I was sent a copy of Phil Wickham's new album, Children of God. Phil Wickham is the artist behind "This is Amazing Grace", Billboard's 2014 No. 1 Christian Airplay Song of the Year. At my church, we also really like singing his worship song, "You're Beautiful". I love his voice, and I think this album is really, really good, and I want to personally send someone a copy of it! Scroll on. . .
A couple of years ago, Phil Wickham''s career was on hold when he had surgery to remove a polyp on his vocal cord. He worried that his voice wouldn't be the same after the surgery. But with a new sense of passion and freedom, he was able to write this album and sing with renewed excitement and zeal. The first single off of the CD is "Your Love Awakens Me". There wasn't a giveaway with this review, but I really want to personally buy someone this album! Enter the Rafflecopter below for a chance to win :) Or buy the album here.